KEEP YOUR LITTLE ONE SAFE. 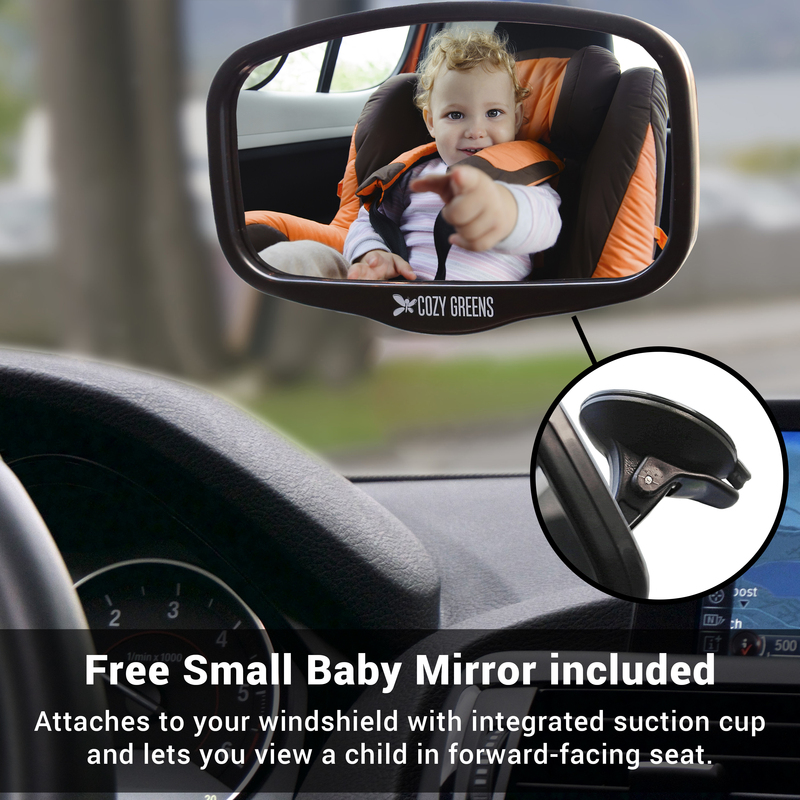 Our extra large convex baby car mirror is fully adjustable, giving you a crystal clear view of your rear facing infant from head to toe. 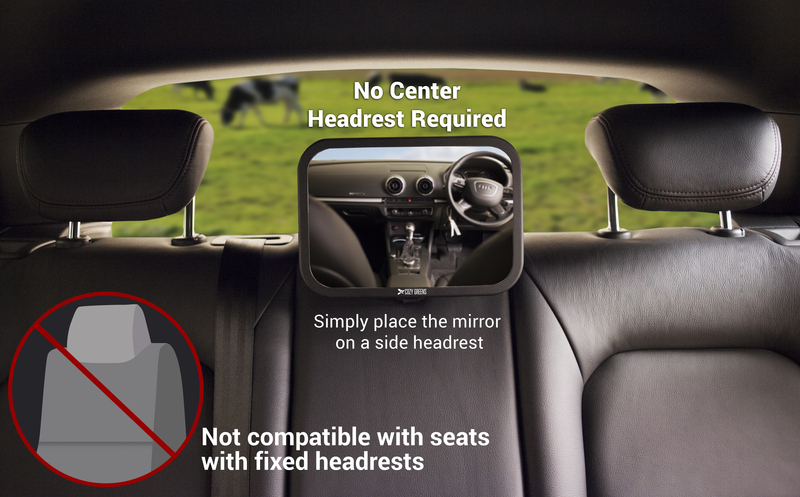 No more guessing, you will SEE your child and easily keep him or her safe & comfortable and focus on driving safely. LIFETIME FACTORY WARRANTY. If at any point you are not 100% happy with your baby mirror for car you are welcome to a 100% Refund or FREE replacement, no questions asked + Every purchase includes a free Windshield Mirror for forward-facing carseats, a Travel Activities eBook and Specialized Cleaning Cloth. 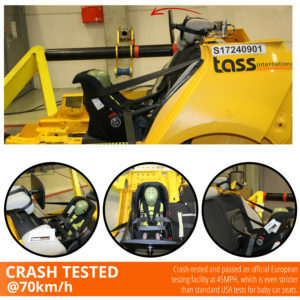 ENGINEERED FROM THE STRONGEST CRASH TESTED MATERIALS. 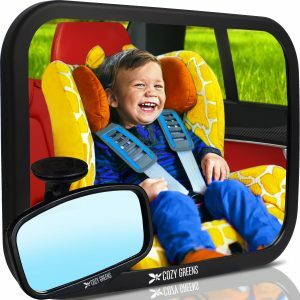 Unlike other carseat mirrors, the Cozy Greens backseat mirror has passed 45 MPH crash testing at an official European testing facility; even stricter than standard USA baby car seat tests. 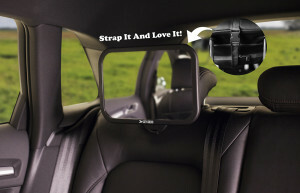 The SUPER SECURE STRAP SYSTEM (see images) keeps the mirrors firmly in place, so we as parents can feel safe and secure. 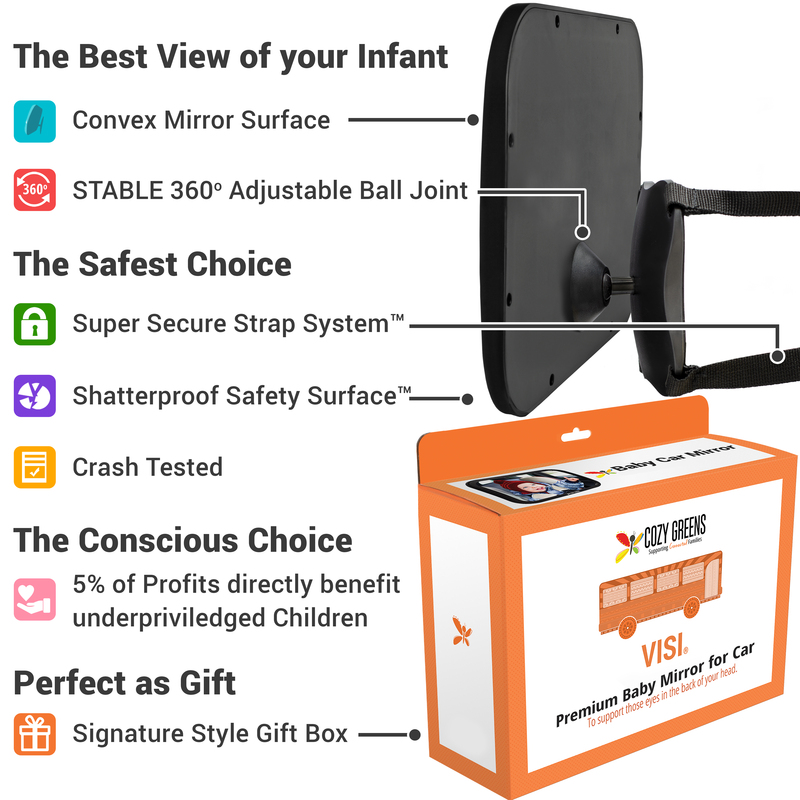 HELP UNDERPRIVILEGED CHILDREN. As young parents, we want our family-owned small business Cozy Greens to benefit the world. 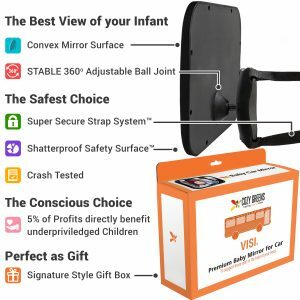 To this end, we donate 5% of our profits directly to the USA 501c certified foundation ChildsLife “chances for children”. 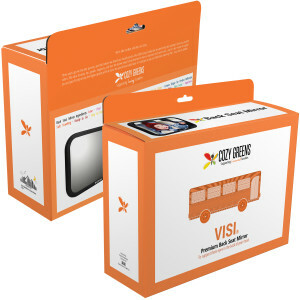 Feel the Joy of knowing that your purchase significantly and directly helps underprivileged children.